Spontaneity and comfort do not have to clash when designing your home. This Ideabook will show you a house that is neither crazy small nor crazy large but just enough for modern living. A tropical house does not need to use wood as the main material on all elements of the home and this house design combines modern and classic pieces by using black steel and wooden fixtures. You can opt for neutral colors such as gray and black to decorate and highlight of the house. Tropical homes such as this living the “flashy, but never trashy” way and it is fabulous. Check it out. The roof is designed to offer ample shade, essential for tropical country living. The roof slopes down on either side of the home, which is common in countries with a tropical climate. The house has a lawn area where you can take a relaxing nap or take your children for playtime. The proportion of the lawn may come off as a high-maintenance part of the home but the space and view of lawn area is definitely worth the cost. The modernity of this tropical house is undeniable. The house has a wooden wall but has black steel porch which makes the house look more spacious. The upper floor has a balcony with similar elements as the ground floor porch, perfect for starting your day right with a whiff of fresh air in the morning. The home porch has a steel roof to provide shade but does not obscure the wooden spokes from the house. The side of the building houses the garage. The house is a painted a warm color of brown which blends all the pieces of this beautiful home together. 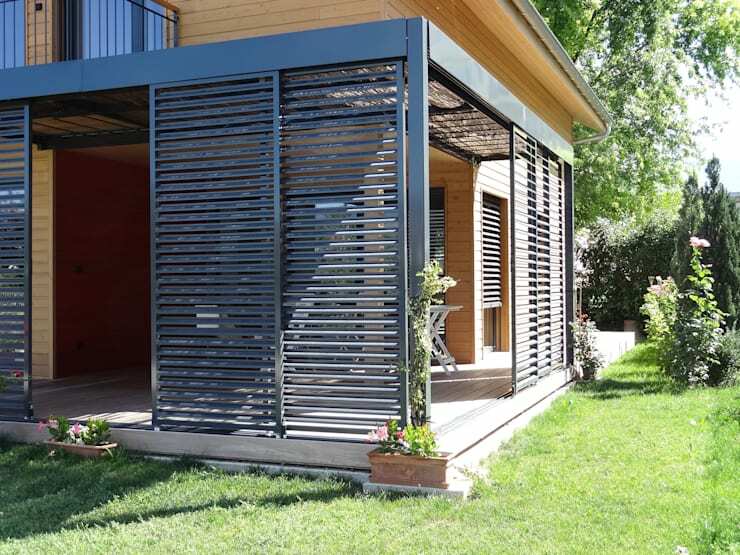 The patio interior is made of wood but doesn’t miss out on the functionality of steel frames. 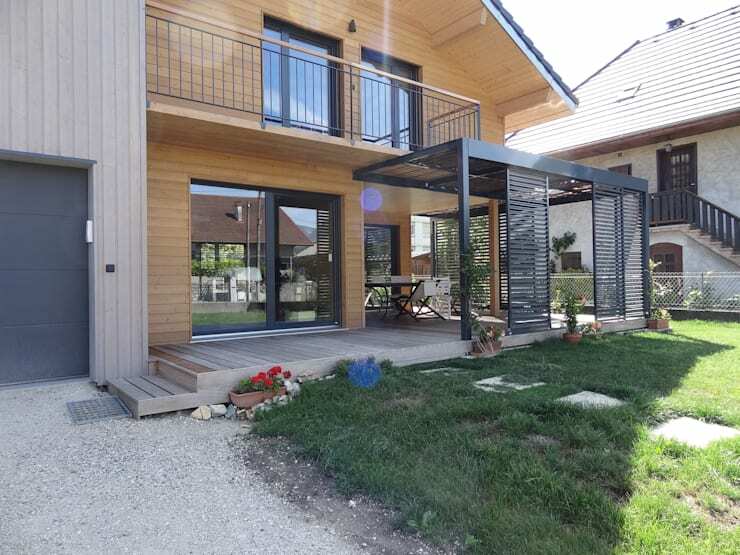 The steel is important in ensuring the sturdiness of this area of the house, especially because the patio is on the outside exposed to the elements of nature. The steel frames also provide some sort of shade, but still allows for the passage of wind inside the patio. Talk about #HomeGoals! Look at a similar house design here! 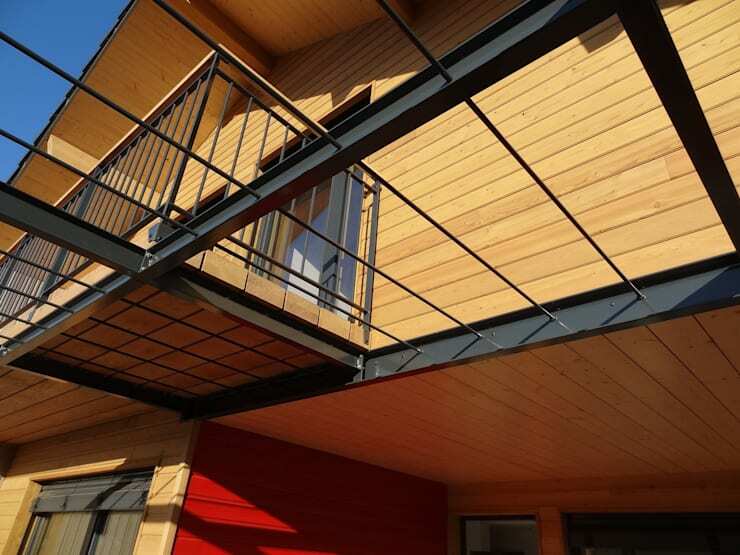 Steel framing is key to achieving this look. 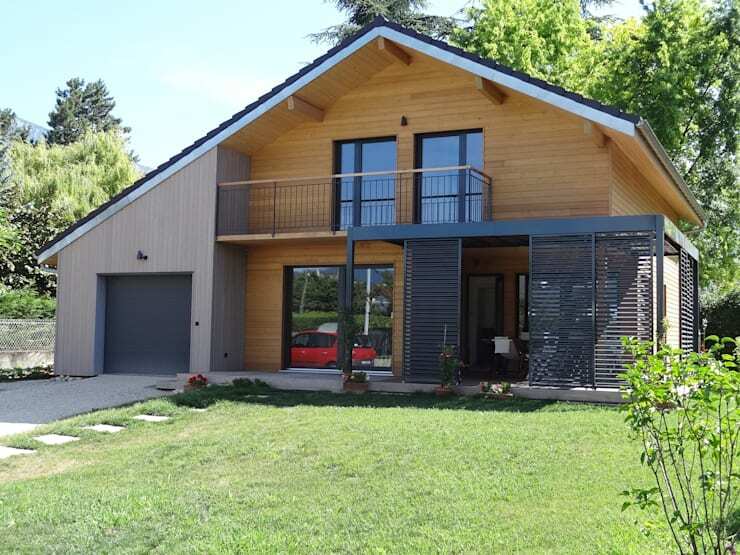 In addition to steel as key element, wood is also important; the wooden elements make the house look closer to nature. Architects designed this balcony to look as simple and natural as possible. The terrace is filled out to the end with steel frame houses and wooden floors. Overlooking the ground floor is easier and makes the home give a more connected vibe. To complement the beauty of the tropical-style home, the ladder created with wood beautiful wood work combined with steel as well. 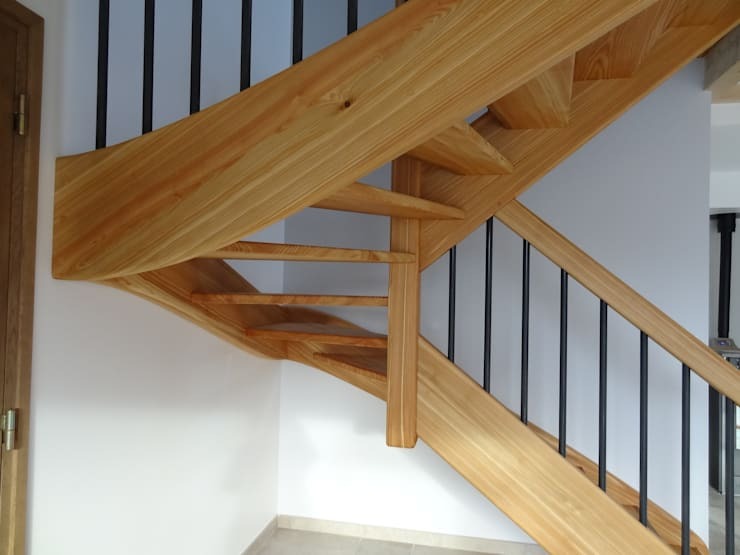 The wooden stairs fit perfectly in the tiny corner of the home. This is the beauty of wood work: minimal wood material can turn into pieces of intricate and useful elements. Looking for another patio idea? We've got it here for you!